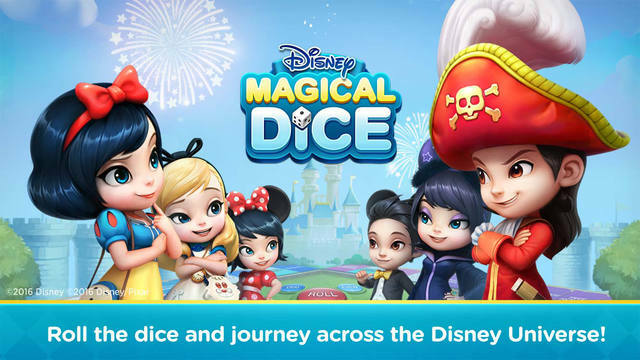 Disney Magical Dice is a mobile board game created by Netmarble and officially licensed by Disney. 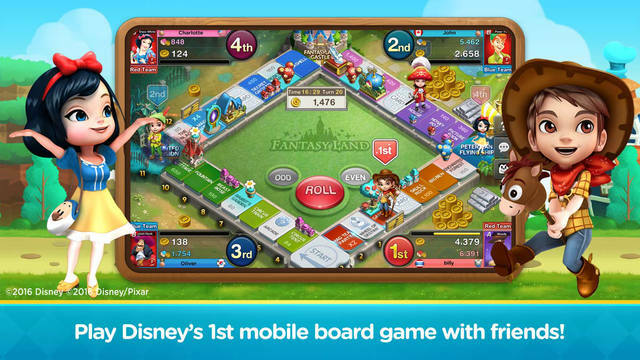 Players can join a cast of Disney Characters and embark on an epic adventure across multiple Disney worlds. 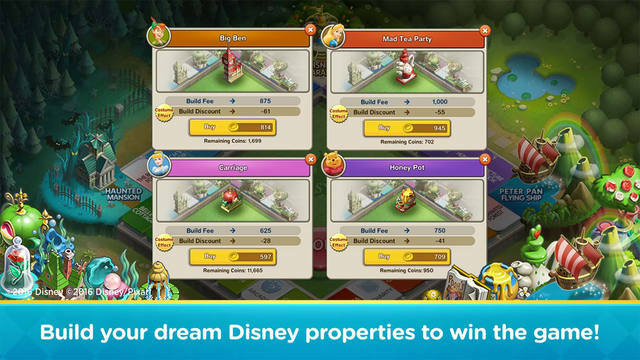 Well-known Landmarks: Visit Cinderella castle, Peter Pan's Jolly Roger, Daisy's garden and more. 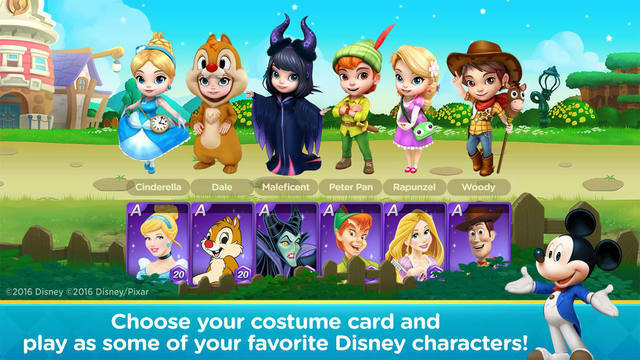 Customization: Collect costumes for your avatar including Cinderella, Maleficent, Snow White, Aladdin, Peter Pan, Woody, Buzz, Rapunzel, and more. 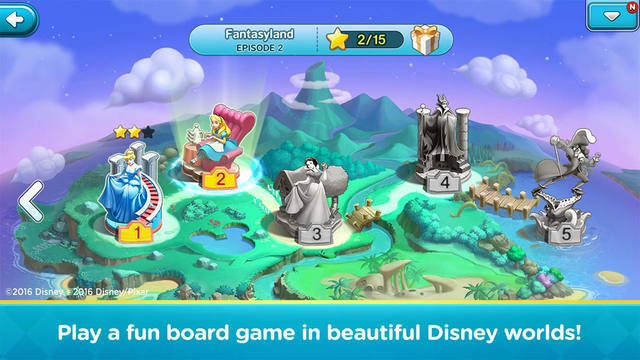 Power up: Expand your collection of Disney costume card avatars and strengthen them through power-ups and fusion to be the best at the game.